The Department of Film and Media at Queen’s University invites applications from suitably qualified candidates for a three-year Term Adjunct position in New Media. The candidate would teach the equivalent of four 3-unit courses (typically 2 per term) and be remunerated on a course-by-course basis. The candidate would also be expected to perform departmental service and will be remunerated separately for this service. A three-year Term Adjunct is a position remunerated for teaching and service only. The courses to be taught are in the areas of digital media production and studies. The candidate must have a well-developed new media practice, with a specialization in areas such as cross-platform, gaming and/or other modes of multi-media. The individual will have basic facility for teaching scripting, directing, editing and cinematography. This individual would be offered a slate of courses that will include a newly configured FILM 250: Fundamentals of Production (see below), FILM 410: Multimedia (theory and practice), and a third-level critical new media studies course in their area. Typically 3rd level courses enroll 40 and 4th level enroll 20 students. FILM 250 is a full-year course on the fundamentals of film and media production team-taught by a group of qualified instructors. These instructors are drawn from a pool of qualified faculty members, including the Term Adjunct. The Term Adjunct will be part of the FILM 250 team at least for the first two years of the appointment. A full Teaching Assistant and Technician support are provided to FILM 250. Second term is focused more on practicing the skills learned in first term, thus fewer weekly classes are scheduled. These are on-campus courses taught at the new Isabel Bader Centre for the Performing Arts, a state-of-the-art facility with teaching and learning environments including a production studio, film screening theatre, sound recording studio, and a digital lab. The Department of Film and Media has collaborations with Computing (with a program called Computing and the Creative Arts), Music, Drama (with the Stage and Screen program), and the BFA in Visual Arts, as well as the Graduate Program in Cultural Studies. The Department is developing an interdisciplinary undergraduate program in Cultural Studies. 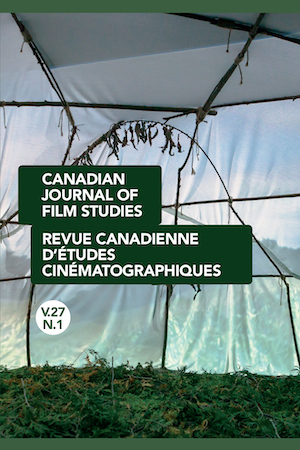 The Department of Film and Media at Queen’s University has a 45-year history based in a commitment to the intersection of theory and practice. Candidates must have at minimum an MA or an MFA, a well-developed new media practice and at least two years of teaching experience, including filmmaking and new media. Experience with university or community arts service is an asset. The Department is interested in candidates with a very strong teaching profile. The departmental service will range from work with standing committees, as well as ad hoc committees that help to connect students to cultural organizations in the City of Kingston. The courses are fall/winter term courses and the appointment is for the period July 1, 2015 to June 30, 2018. The University will provide support in its recruitment processes to applicants with disabilities, including accommodation that takes into account an applicant’s accessibility needs. If you require accommodation during this process, please contact: Department of Film and Media, Linda Graham: linda.graham@queensu.ca, 613-533-6000 x 77013. Applications will be received until December 15, 2014. Review of applications will commence shortly thereafter, and the final appointment is subject to budgetary approval. Additional information about the Department of Film and Media can be found at http://www.queensu.ca/FILM.